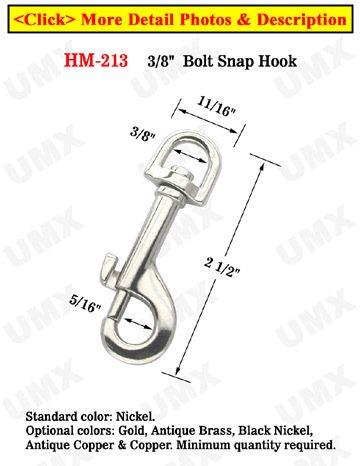 HM-213 comes equipped with a D-shaped swivel head, which fits flat or round straps up to 3/8" wide. This heavy-duty item can be used with dog leashes, surfboard leashes, or as a plain key holder. Made of heavy-duty, cast metal steel and great for everyday use.